Darker Than Blood Steve Aoki & Linkin Park Music Video. Here’s an amazing music video with Steve Aoki & Linkin Park called Darker Than Blood. It was produced by Lord Danger and directed by Dan Packer. I am very happy to be part of this and got booked as a man in the process of turning into a Zombie. This scene starts at about 2 minutes in. 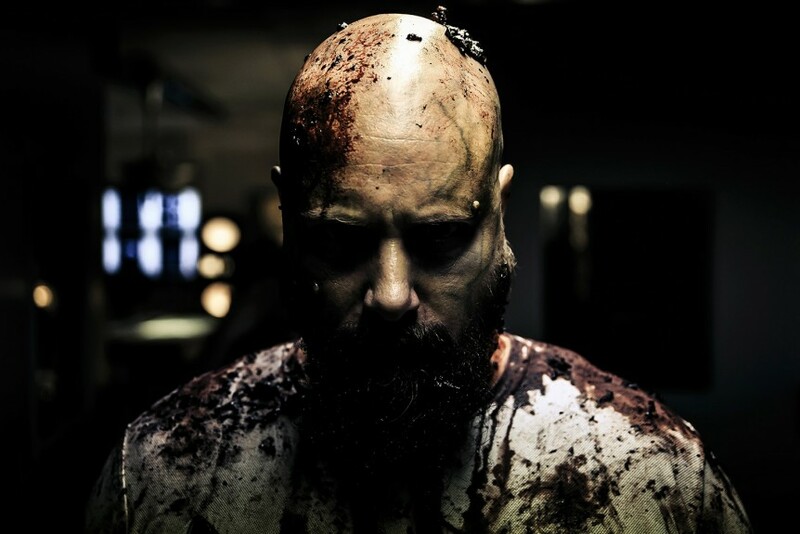 Rolling Stones Magazine mentioned the scene I was in as “One of the video’s most intense scenes occurs when a patient enters the disease’s final stage and goes on a rampage across the lab” – You can see the article here: Rolling Stones Magazine Darker Than Blood. The Photos were taken by the amazing the1point8 and Makeup Artist Gala Lpz! Some of the other actors I worked with were: Erica Manni, Dave Donah and Hiram Caraballo. Steven Hiroyuki “Steve” Aoki (born November 30, 1977) is an American electro house musician, record producer, and music executive. In 2012 Pollstar designated Aoki as the highest grossing dance artist in North America from tours. He has collaborated with producers and vocalists such as will.i.am, Afrojack, LMFAO, Iggy Azalea, Lil Jon, and Laidback Luke, and is known for his remixes of artists such as Kid Cudi. Steve Aoki Linkin Park Jes Selane Darker Than Blood Music Video. PRODUCTION COMPANY Lord Danger – See their Steve Aoki Darker Than Blood Article Here!